Dr. Linda Alvarez is an assistant professor at California State University, Northridge, and a Co-Founder and Director of Vegan Advocacy Initiative. Linda holds a Ph.D. in Political Science and Master’s Degrees in International Relations and Latin American Studies. 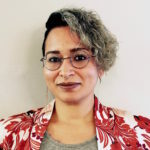 Her scholarly interests revolve around the ways in which underrepresented and marginalized groups interact with and challenge dominant structures of power. Much of her research has focused on the experience of migration, violence and trauma among farmworkers and slaughterhouse workers. Linda is also an avid veganic gardener and might be slightly obsessed with the amazing life systems beneath the ground. Sylvia Chi is an attorney and member of Defenders of Mother Earth-Huichin, an indigenous-led, Oakland-based grassroots coalition following the call from Standing Rock to divest from banks that fund the extractive fossil fuel industry. 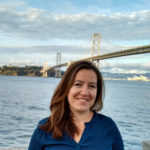 In 2016, Sylvia helped draft amendments and lobby for DOME-Huichin’s successful effort to pass an ordinance requiring certain disclosures from banks seeking to provide banking services to the city of Oakland. 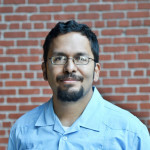 Antonio Diaz is the Organizational Director of People Organizing to Demand Environmental & Economic Rights (PODER). Antonio is originally from the Texas – México frontera/borderlands. He has been active in the movement for environmental and economic justice since the early 1990’s. He moved to the Bay Area in 1995 and has been organizing with PODER since then. He is currently on the Board of Directors of Human Impact Partners and on the steering committees of San Francisco Rising, Bay Rising, and the California Environmental Justice Alliance. 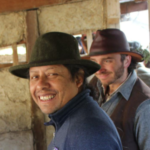 William Faith co-founded Ars Terra, a sustainable homestead project in Palmdale, CA, where he taught several permaculture courses and workshops before moving to Chicago and co-founding the Chicagoland Permaculture Guild in 2012. In 2015, he became board president of the Great Rivers and Lakes Permaculture Institute and launched Genius Loci Permaculture, a full-service Design, Build and Education firm. Since 2015, he has co-facilitated the yearly vegan Permaculture Design Course at Wild Earth Farm & Sanctuary, the first and only vegan PDC to be offered in the United States. Chema Hernández Gil helps build the political power of working-class communities of color in San Francisco as the political coordinator at the San Francisco Rising Alliance and one of the organizers at Bay Resistance, a powerful new network preparing to defend our communities, our movements, and our planet. Chema was raised vegetarian and experienced his family’s shift to eating more dairy and processed foods when they left Mexico in the late 1980s. Over the years, he also saw how people’s diets in Mexico changed in similar, negative ways. Along the way, he acquired an understanding of how native North American food systems were colonized. He is passionate about building vegan agroecological food systems within the context of decolonization. 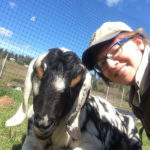 Bonnie Hildebrand is a veganic farmer living on 43 acres and farming 1/2 acre in the foothills of the coastal mountain range outside Portland, OR. Bonnie is a 20+ year vegan who avoids use of all animal products in producing vegetables and also avoid all chemical inputs in the field. With a mission to bring compassionate, quality produce to the Portland metro area, Spoke and Leaf Farm began in 2015 and now offers a 22 week CSA membership and sells at the People’s Co-op farmers market in Portland. 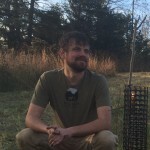 Joe Kilcoyne is a Co-founder of Wild Earth Farm and Sanctuary, a combination vegan permaculture farm and sanctuary project that focuses on food production, education, community, and sanctuary work. Wild Earth hosts the only Vegan Permaculture Design Course in the U.S. Previously he farmed and co-owned a CSA and market farming business in the Hudson Valley. In his work, Joe focuses on learning to live a life that respects and values the animals, plants, fungi, and minerals around us. 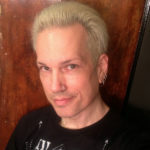 He has Permaculture Design Certificates from Midwest Permaculture and Spiralseed, as well as an advanced certificate from Great Lakes Permaculture Design Collaborative. Joe is also an electrician by trade with I.B.E.W. Local 134 Chicago. 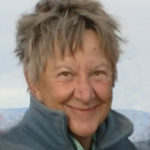 Karen Klitz is a native Californian who has been an outdoor person all her life, traveling and camping in the mountains and desert of the west. During the last few decades she has worked on public land conservation issues in California and Nevada. She sits on the Board of Directors of Western Watersheds Project. Matthew Loisel is a Salinas-based veganic farmer. After becoming disillusioned with both corporate life and our corporate food system, he decided to help create a better food system by making the transition from hobbyist gardener to commercial farmer. 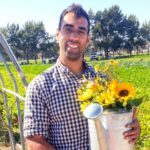 He founded Lazy Millennial Farms with his wife after they completed training at an organic farm incubator. Matt became vegan after completing his training and he suddenly realized that he had to learn to farm within a new set of parameters. He has been successfully doing so, and in 2016, Lazy Millennial Farms launched the Bay Area’s first veganic CSA. 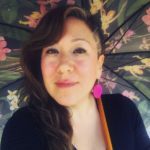 Verónica Moreno is a Community Engagement Manager at Thousand Currents. As a Mellon Mays Undergraduate Fellow, Verónica has always been committed to amplifying the voices of underrepresented peoples in both academia and her own community. Verónica was awarded a Fulbright Scholarship to Argentina, where she designed and taught a syllabus focused on social issues in media and pop culture. After returning stateside and a short stint at a tech company, Verónica recommitted to social change and joined the Thousand Currents team. She is a fierce advocate for self-determination for all marginalized peoples and looks forward to a future where one gender no longer defines the standard for humanity. Nassim Nobari is the co-founder of Seed the Commons and main organizer of the People’s Harvest Forum. As a social justice and food activist, she has worked with radical community programs in Switzerland and the US and volunteered with peasant organizations in a dozen countries. With Seed the Commons, she strives to continue to help build a food system that works for farmers, workers and eaters, while promoting animal liberation instead of agricultural models based on animal exploitation. 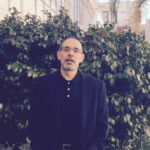 Miguel Robles is the Co-Founder and Project Director of Biosafety Alliance and the core organizer of the Soil Not Oil International conference; previously he organized 4 editions of the “Justice Begins with Seeds Conference”. He has founded several organizations in Mexico and the US and launched countless campaigns of great social impact. He was the field organizer for Spanish speakers in 2012 during the historic Prop. 37 campaign in California, in which Latino vote in support of GMO Labeling reached 61%, the highest in the vote preferences by ethnicities. He is the Co-founder of the Bay Area Latin American Solidarity Coalition (BALASC) and one of the founding members of the Californians for GE Food Labeling Coalition. He is a strong supporter of the moratorium to prevent planting Genetically Engineered Corn in Mexico and works closely with the leaders behind it. 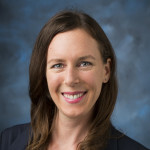 Mona Seymour is an Associate Professor of Urban Studies and the Director of the Environmental Studies Program at Loyola Marymount University. Her research broadly focuses on veganism and the food movement. 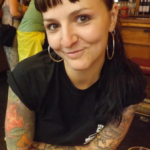 She is currently working on a project on farming methods that avoid chemical and farmed animal inputs, and is a part of Seed the Commons’ Working Group on Veganic Farming, which aims to support and spread veganic agriculture in the US. 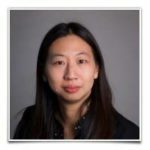 Her past research has explored urban sustainability planning and green infrastructure, with particular attention to alleyway revitalization and greenspace planning. 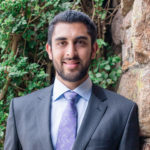 Neil Thapar is the lead for the Farmland Program of the Sustainable Economies Law Center, where he researches alternative legal structures and land-holding arrangements that promote affordability and long-term sustainable stewardship of farmland. Neil also leads the Save Seed Sharing campaign of the SELC to protect people’s rights to share seeds with each other through community organizing, legislative advocacy, and public education on the importance of growing and supporting locally-focused seed distribution networks. In 2014, Neil led SELC’s legislative campaign to pass the Neighborhood Food Act, expanding access to backyard food production for tenants and homeowners in planned developments. 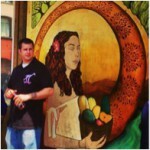 Ryan Thayer is a Community Organizer for Food Justice with Tenderloin Neighborhood Development (TNDC), Co-Coordinator of the Tenderloin Healthy Corner Store Coalition (TLHCSC), and a member of the San Francisco Food Security Taskforce. He sees access to healthy, fresh, nutritious, and affordable food as a fundamental right for individuals and families with limited access to resources. Spearheading organizing efforts around food access, education, and healthy corner stores, Ryan seeks to improve San Francisco’s local food system through the empowerment of our most at need communities. Collective Roots Our field trip this year will be to one of the community gardens of Collective Roots, a powerhouse food justice organization in East Palo Alto.